The Flat Rock Assembly Plant first opened back in 1972, at which point it was called the Michigan Casting Center, making V8 engine blocks. In 1979, MCC had the distinction of being the location of the first instance of a human killed by a robot, when a worker named Robert Williams was killed by a robotic arm. Due to the decrease in demand for V8 engines in the late 1970s and early 1980s, MCC was closed in 1981. The site was reborn when Mazda built a plant there in 1985 and by 1987, the Japanese automaker was building their MX-6 and the Ford Probe. The plant was renamed AutoAlliance in 1992 when Ford bought a 50% stake in the facility, and from 1992 through 2012, Ford and Mazda built a variety of models including the Mustang starting in 2005. The Mustang was initially built alongside the Mazda 6 sedan as part of the Motor Company’s joint venture with the Japanese automaker, but when Mazda pulled out of Michigan in 2012, Ford made tooling changes so that they could build the Fusion sedan until 2016. In 2017, production of the new Lincoln Continental began there and that is what the plant is building today, but that will all change in the next few years. Under the new plan, the Flat Rock plant will continue building the Mustang, including the next generation car coming in 2021, but it will also be heavily retooled between now and 2023 as part of the company’s massive electric vehicle push. Ford will spend $850 million and create 900 jobs at Flat Rock to build the next generation EVs. Oddly, that will not include the Mustang-inspired electric crossover, which will be built Cuautitlan, Mexico, but the company’s electric vehicles on the new modular platform will be built with the Mustang. 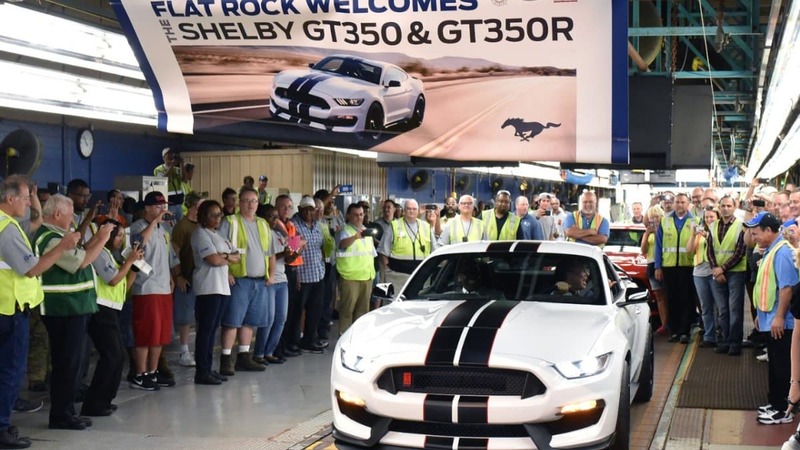 This is a great move for the company and for the Mustang, as even with the pony car selling well, it is hard to keep an entire plant running for 80,000-120,000 cars a year. With the electric vehicles being built there, Flat Rock should be rolling out more than enough vehicles to keep that facility running well into the future while also preserving the home of the mighty Mustang.